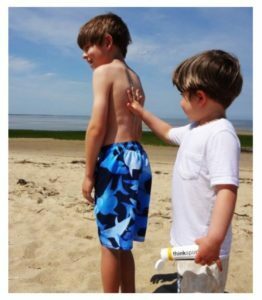 No brand of sunscreen can market to children less than 6 months of age. You should consult with your doctor before applying any sunscreen. Our suggestion would be to ask them about skin patch testing and also bring the ingredients deck. Incidence of allergic responses has skyrocketed over the last two decades. Any sunscreen that is marketing itself as “hypo-allergenic” is engaged in false marketing. There are plenty of natural ingredients (like nuts) that children are allergic too. There is just no way of guaranteeing allergic response. There are now three levels of water resistance. Not water-resistant, water-resistant (40 minutes) and water-resistant (80 minutes). We have all become used to seeing words like “sweatproof” or “waterproof”. The FDA kicked that terminology out. There are now very specific tests. Keep in mind, that if you’re at the beach or pool that you’ll need to reapply after being in the water. And to achieve the SPF factor of your sunscreen you have to reapply every two hours. 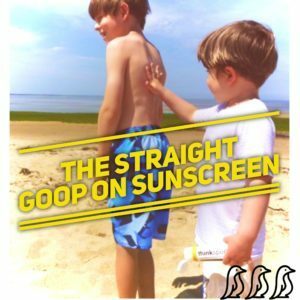 One application does not keep you at SPF 50 or whatever is on the sunscreen label. And you should be using about 1oz to cover an adult body. 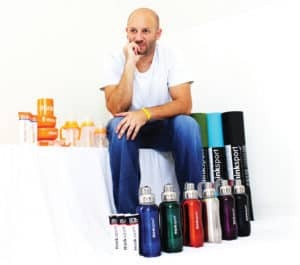 Thinkbaby and Thinksport’s founder, Kevin Brodwick brought his interest in health and preventative medicine and his background in biotechnology together to form a company whose sole purpose is to create alternative products for little ones to adults.